With fair credit, it’s easy to believe that you’ll never qualify for a credit card. Fortunately, this isn’t true. There are hundreds of credit cards designed for consumers with fair credit, all of which provide a variety of benefits to help improve your finances. 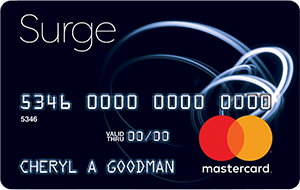 From the Surge Mastercard credit card to the First Access Visa credit card, we help you find the offer that best suits you. From the interest rate to fees, from credit requirements to brand information, we’ll help you secure the right credit card at the right time. Is your fair credit score holding you back from reaching your financial goals? Are you hoping to boost your score in the near future, moving it into good, very good, or excellent territory? A fair credit score is defined as one between 580 and 669. While your score could be worse, you realize there is plenty of room for improvement. What you may not know is the steps you can take to make progress. You have fair credit for a reason, and you need to find out why. Have you missed payments in the past? Are you carrying too much debt? Are there errors on your credit report? Are you just now establishing credit for the first time? Upon review of your credit report you’ll have a better understanding of why your score is low and what you can do to improve it in the future. It’s easy to spend money, but extremely difficult to pay down debt. If your balances are too high, it could be holding down your credit score. Set the goal of paying off balances, such as those associated with credit cards and personal loans, as quickly as possible. Even if it takes you several years to do so, the more progress you make the greater chance you have of boosting your credit score. As your score increases and your debt decreases, you’ll feel better about your financial situation as a whole. How often do you pay a bill after the due date? How many red marks are on your credit report as a result of late payments? This is a bad habit that can drag down your credit score, so you don’t want to wander this path. Once you begin to pay your bills on time, without fail, you’ll feel better about your ability to boost your fair credit score. Also, timely payments ensure that you’re never charged a late fee. This doesn’t mean you should apply for new loans just to do so. However, when possible, consider the ways you can diversify your credit. For example, if credit cards are the only type of credit on your report, you’re not doing yourself any favors. Try to diversify by securing a personal loan, car loan, or mortgage. You shouldn’t diversify your credit just because it can boost your score, but it’s a nice side effect of doing so. If it was easy to improve your credit score overnight you wouldn’t have any worries. Unfortunately, it can take several months or years to reach your goal. The more patience you have the greater your chance of success. As frustrated as you may be with your fair credit score, a few changes to your financial approach can have a positive impact. When combined with the passage of time, you’ll eventually realize your goal of leaving your fair credit score in the past. Having an average or fair credit score doesn’t necessarily mean you can't get your hands on some amazing credit cards. Apply Credit Now has specially selected fair credit credit cards for this listing that help people with average credit to find the best credit cards for their needs and lifestyles. Whether you're in the process of building or rebuilding your credit, this listing has credit cards right for your precise needs. With these cards, perfect credit isn't crucial, and acceptance is highly probable, even if other financial institutions have rejected your past applications. When using a fair credit credit card, you get the benefit of your account's payment history gets reported to the three main credit bureaus — Equifax, TransUnion and Experian. This means that the longer you make repayments on time, the more you improve your credit score, helping you get better credit cards and rates in the future.